A few days ago I was working with a dataset where I had multiple sheets full of data. I had to select the first 500 cells at one go from each worksheet and copy it. I then had to paste this data into a tool I was using. Now doing this manually isn’t hard, but since I had multiple worksheets, I started thinking of a faster way to do this. In this tutorial, I’ll show you two faster methods of doing this (with and without VBA). There is a name box at the left of the formula bar. It displays the reference of the active cell and can also be used to create named ranges. We can also use it to quickly select a range of contiguous cells by just entering the range reference. 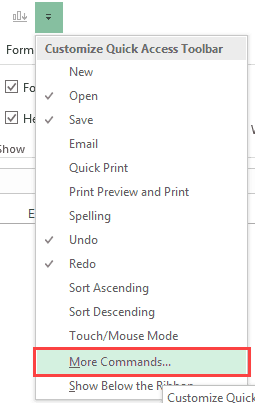 Click in the Name Box. As soon as I hit the Enter key, it will select the first 500 cells in the column. 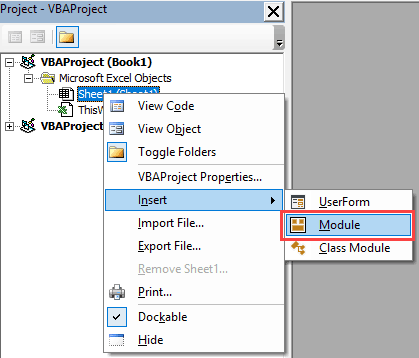 While the above method is fast, with VBA, you can easily make it a one-click activity. Now let’s see where to put this code and make this a 1-click affair. Copy the above VBA code. The VBA code is now a part of the workbook. If you run this macro code now, it will select 500 cells (starting from the active cell). 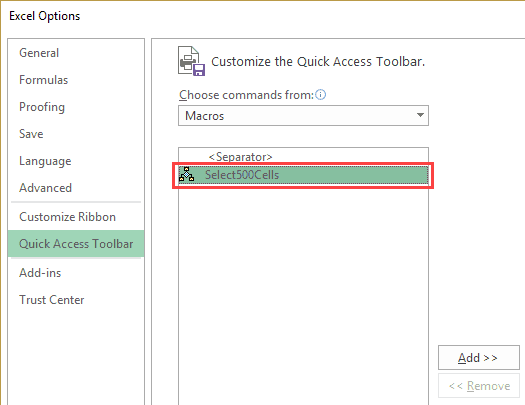 Now to further simplify this process, you can add this macro to the Quick Access Toolbar (QAT). This will allow you to select 500 cells with a single click (starting from the active cell). Now to select 500 cells at one go, all you need to do is select the first cell and click on the macro in the QAT. Here are some variations of the macro code that can be helpful. The below code will select 500 rows – starting from the active cell row. The below code will copy 500 cells – starting from the active cell. The below code will select first 500 cells – starting from cell A1. 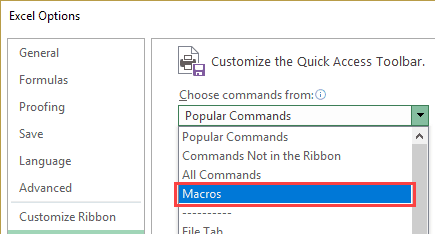 Useful Excel Macro Examples for VBA Beginners (Ready-to-use). How to Select Every Third Row in Excel. How to Quickly Select a Far-off Excel Cell or Range. Using Loops in Excel VBA (For Next, Do While, Do Until, For Each). you can press F5 (to activate the Go To Pane) and then type the range. I am not a student of your course, but can I ask a lingering excel query. This has been on my mind for quiet a while and most probably on other people’s mind too. 1 ) Can we use the “IF” or any other formula without using conditional formatting in such way that if it satisfies a condition then that cell must turn into a certain colour ? 2 ) Can we use the “IF” or any other formula such that if a cell is of a particular colour then it must be counted or any other mathematical signs can be applied? for example if in range b1:b10 if cells are coloured then sum of that cells or i want only value of that cells which are coloured? Also can I reach you via email? Hey Tushar.. To color a cell based on the value – I only know about conditional formatting and VBA. hi how do you create the arrows in the employee tracker to know to go to the next month i tried everything please let me know i appreciate it so much – love the template.